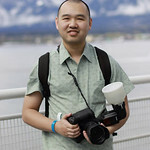 David "DTJAAAAM" Ngo is a wandering photographer. Based in Seattle, he is famed for attending conventions all across North America to create massive photo galleries showcasing hundreds of cosplayers and models seen at each event. His work from major anime, comic book, and video game industry gatherings such as Anime Expo, Dragon Con, E3, and San Diego Comic-Con have been featured on popular websites like io9.com, Kotaku, the Nerdist, and TechRepublic. Photos from his journeys have also been printed in publications including the Wall Street Journal and Freshly Inked Magazine. If you enjoyed David's photos and would like to help fund further cosplay photography expeditions, donations are always appreciated.